Kate and Oli: Cart-Worthy + Heart-Worthy: Anchors Aweigh! I wish I could sail too. It looks so nice and relaxing. 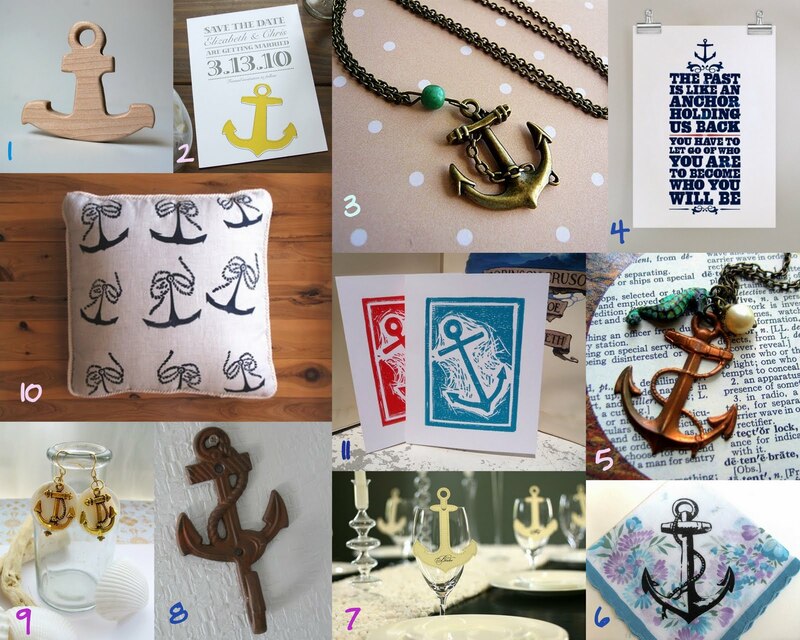 Thanks for featuring my anchor cards! :) I love your collection here. I also grew up close to the beach & salt water, and it is my favorite place in the world to be. Standing on a beach with sand under my feet and water in front of me is truly my "happy place." Thank you for including our Anchor place cards! I never get tired of Anchors, we are heading to the beach this weekend and these are perfect finds to get me in the mood! Love your cute collection of anchors! Thanks for including our Anchor Cushion! !